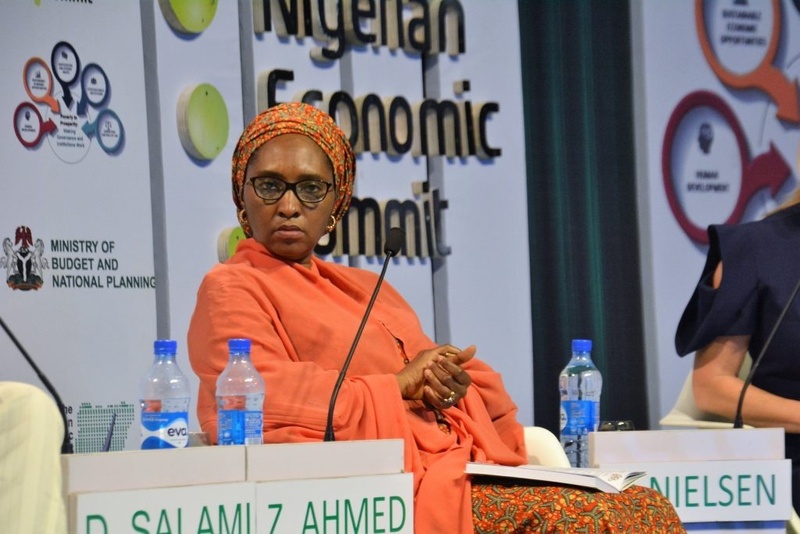 Minister of Finance, Zainab Ahmed at the Nigeria Economic Summit in Abuja. Telecom giant, MTN Nigeria has been hit with sanctions left, right and centre over the past three years. At a time the company was beginning to recover from the first sanction over unregistered sim cards, it got another sanction from the Central Bank of Nigeria, CBN and query from the office of attorney general of the federation over alleged unpaid taxes. But not everyone agrees that sanctioning a foreign company the way MTN has been sanctioned is good for the image of the country. It now appears that even those in government believe regulatory authorities may have been too hard on MTN. On Tuesday, the Finance Minister, Zainab Ahmed admitted that the federal government’s sanctions on MTN is damaging for Nigeria. Speaking at the 24th Nigerian Economic Summit in Abuja on Tuesday, the minister said the Central Bank of Nigeria is working closely with MTN to resolve the issues around the latest sanctions. Ahmed was quoted by theCable as saying that some of the positions of the government were taken, so big businesses and investors don’t take regulators for granted. “The MTN incident was a very damaging one for us, that was one of the reasons why we have been out trying to engage investors,” Ahmed said. The minister assured investors that there would not be another MTN situation and that no company will be next after MTN. “We are trying to make sure this doesn’t happen again, we are continuously discussing with monetary authorities.